JRPG Jungle: Five New Years Resolutions For Gaming - 2016 Edition! Five New Years Resolutions For Gaming - 2016 Edition! It might sound weird to say, but one of the funnest things I did last year was making and doing New Years Resolutions for my gaming life. Doing them has vastly improved my gaming life for the better - I finally played some classics (I've played Final Fantasy IX and Danganronpa now! ), I'm trying a new console and most importantly, I'm playing and discovering more and more great games. In the spirit of continuing this awesome gaming life, this year I decided to do a new set of gaming resolutions. This year's ones are very different to last year's due to a certain new console in my life, but they're all things I've been wishing I had more time to do, so it's time to make time to play these games. The main theme of my goals this year is trying many series I didn't have access to because of my PlayStation life, while also checking out some older games that I either miss playing or haven't played. The main struggle for these goals will be balancing these new games with all my current favourite series on Playstation. Persona 5 is meant to be coming, along with Danganronpa v3 and Final Fantasy XV. These won't be short games and I'm very excited for them, so they will no doubt be a distraction (along with, you know, my full time job). You are also invited to make your own Gaming New Years Resolutions! They can be as big or small as you like and you can list as little or as many as you like, like regular new years resolutions. Here are mine, feel free to leave yours in the comments below or hashtag it on Twitter with #JRPGJGamingResolutions. Pokemon games were some of my favourite games ever as a child. As an adult, I've never returned to the series properly, although I have thought about it a lot. Emulators never gave me the same satisfaction as using the Gameboy and since having a Gameboy, I haven't owned any other Nintendo consoles. Until now! Since I now have a 3DS, all the Pokemon titles are at my fingertips. 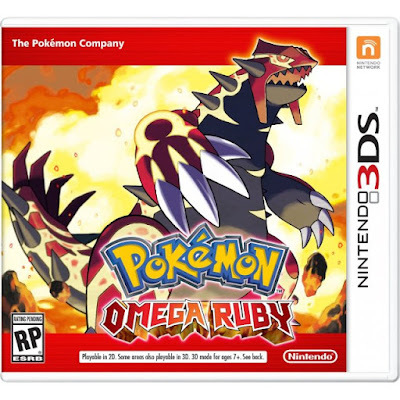 I haven't made the decision if I want to go for one of the new Pokemon games (I was really excited when Pokemon Omega Ruby and Alpha Sapphire) or go back to older ones. In any case, I'm pretty keen to try 'catch 'em all' once again. The challenge for this goal will be the sheer length of a Pokemon game, but I'm hoping if the game is fun enough, the time will fly by easily and my Pokemon itch will be satisfied. I tend to play and indulge in a lot of the same series - Final Fantasy, Persona and the new addition to my group of favourites, Danganronpa. There's nothing necessarily wrong with this, but there are many RPG series and one-offs I haven't tried because of this. Nothing in the world will stop me from playing Persona 5, Final Fantasy XV/VII Remake and Danganronpa v3 when they're released, however I'd like to challenge myself to try series such as Atelier, Hyperdimension Neptunia and more of the Gust games that I'm always intrigued by. Again, I only have so much gaming time but I hope to try many more series next year, especially when I tie it in with the next goal. I'm pretty loyal to PlayStation when it comes to gaming. As much as I love Playstation and their games, this means I've missed out on Bravely Default, Phoenix Wright, Final Fantasy Explorers, Fantasy Life, Fire Emblem, Persona Q, Yo-Kai Watch and probably many other games on 3DS. I adore my PS Vita and my PS3 and 4, but I'd like to challenge myself to try these titles and series that I once assumed I'd never play. Bring on the Fire Emblem and Bravely Default next year! Technically not a JRPG, but still a quirky Japanese game. 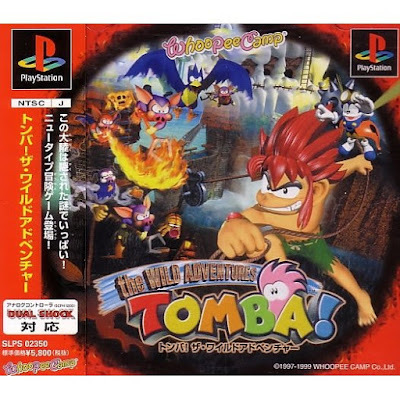 Tomba 2 (in Australia and Europe called Tombi) was one of my childhood favourite games because of it's fun platforming and many challenges to complete, which started my life as a completionist. I tried going back to it a year ago and it was pretty wacky. Maybe even a little too wacky, as I didn't play it for more than a few days. 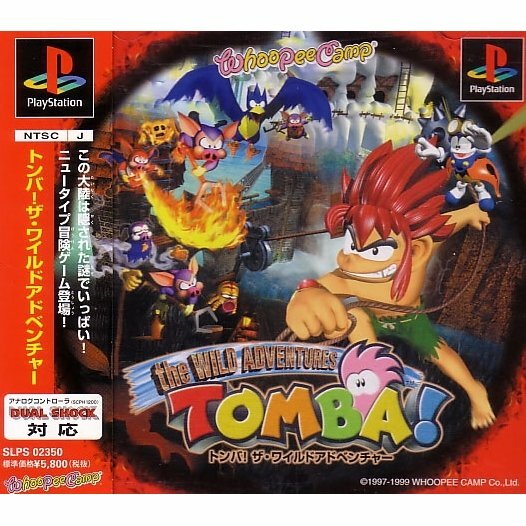 Since then, I've had an unscratched Tomba itch. I'd like to finally play the first one and go back to the second one and see if the crazy pink haired jungle kid game is still for me. Give me closure, Tomba! This one's simple - Playing Final Fantasy IX was one of the highlights of my gaming year last year. 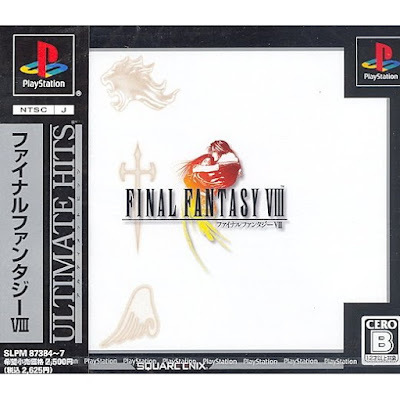 I'd love to play more than one classic Final Fantasy game this year, but I'm being realistic and saying just one. Probably Final Fantasy VIII. 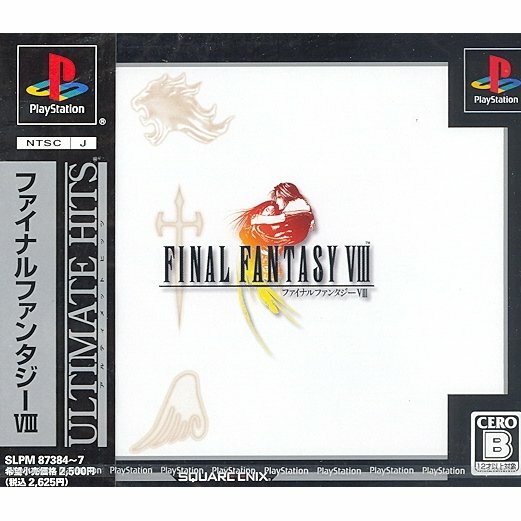 I played up to the second disc of Final Fantasy VIII when I was younger, but the disc I was borrowing glitched out on me and wouldn't let me continue. 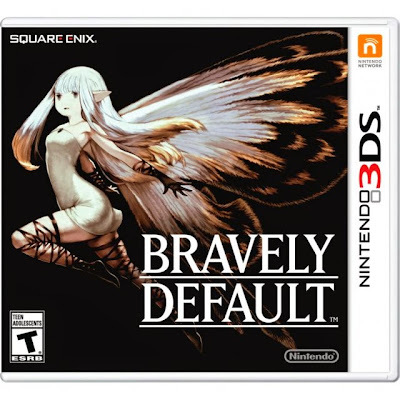 I remember it being a fun game and getting pretty addicted by disc 2, so this will be a fun one to get back into again. Tell me your Gaming resolutions! Leave a comment below or send @JRPGJungle a tweet with #JJGamingResolutions and let's talk! I'm a big Gust fan so I always have to shill their games whenever I can. 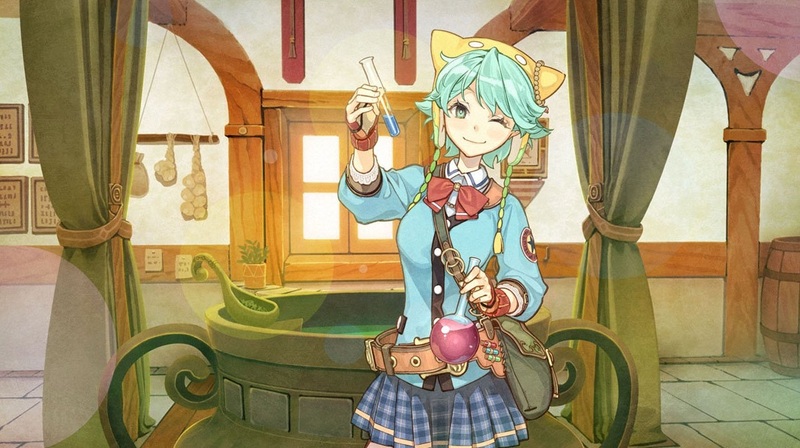 If you do decide to go for Atelier, some good entry points to the series are New Atelier Rorona (if you want to start with the Arland trilogy), Atelier Ayesha Plus (if you want to start with the Dusk trilogy, regular PS3 Ayesha does not contain JP voices if that matters to you - it would to me considering the dub doesn't voice nearly as much as the JP track), and Atelier Sophie (the latest game, and the start of a brand new trilogy). I've only played three 3DS games since I got my 3DS LL last year, but I liked all three of them - Stella Glow, Fire Emblem Fates, 7th Dragon III Code:VFD. All good games I think, but Fates will hit your wallet hard with the whole 'three separate routes to buy' thing! For myself, I need to think more about goals, but for starters I want to play, finish and review at least 10 games. I got off to a slow start this year, halfway through March and I've only finished one game. Can't be slacking off. haha, I appreciate the shilling, considering I have no idea where to start! I have the PS3 version of Rorona already, but I've been put off playing it because of all the rereleases. Knowing there's a better quality release out there kills me inside!!! I may start at Sophie if it's the beginning of a new series - everytime I see the artwork and trailers, I want it. And those 3DS LL games all look really good. I may go Stella Glow, that's another one I keep seeing and wanting. Fire Emblem Fates also looks great, but yeah, that whole 'three separate routes' thing it's difficult to fathom, especially for my first FE game. I'll probably get FE: Awakening since it's a little cheaper now. Really glad to hear they're all good games though, thank you! I have to stop slacking my 3DS time, right after I finish Persona 3! As long as it was a good, worthwhile game, I think one isn't a bad start. :) Just gotta keep piling them up going forward :p I look forward to reading your reviews as they pop up, thanks for the comment!